Ever heard those geek designers speak in their paper talk and you're confused as to why some papers cost more and some are much more affordable? Well, take a read below if you want to learn a little about the wonderful world of printing and paper! There are a plethora of printing techniques that I can dive into, however, my intent isn't to scare you but educate you. 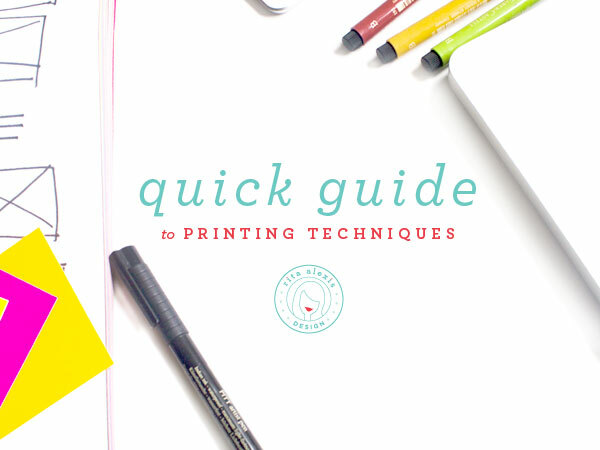 We'll dive into two well-known techniques: Digital Printing and Letterpress. Digital printing, also known as flat printing. It is digital because you can print anything digitally created (aka directly from your computer). It is also called flat because there is no texture (no impression or debossing (you’ll read that below). Pricing is generally cheaper if you go with 4 color mix (CMYK), which I will explain in the colors section. You’re more flexible with your design here due to the mix of colors you can create with CMYK, as well as the digital paper able to absorb these inks well. MY THOUGHTS: I love digital. There are some really nice papers that print digitally and allow you to be super flexible with your design. Sky’s the limit! Letterpress is when the design is “pressed” into the paper creating an impression. In essence, it’s like a stamp. Your design is created into metal plates (stamp) and ink is placed on this stamp and pressed into the paper creating an impression (get it, letter-press?) Here you must use spot colors (or known as Pantone Swatch Mix, aka PMS). If you decide to use different colors, the letterpress artist will have to create different “stamps” to place each ink on. 3 colors = 3 stamps/ metal plates. As you can see, this can get a bit pricey. Letterpress papers also have to be able to absorb when the design hits the paper; therefore the paper cost is higher, as well. MY THOUGHTS. I am a sucker for anything letter pressed. These look and feel higher in quality, however they limit your design–especially if you were thinking of full photo imagery. Of course, there's nothing like physically touching the paper and seeing the quality. If you're interested in samples, I can definitely send some your way. Shoot me an email at hello@ritaalexisdesign.com.